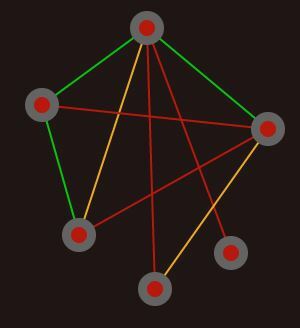 The game we discuss here is (also) called Lazors, but a more suitable name could be Untangle or Network Points. This game is a typical example of a game that allows for ‘low floor – high ceiling’ activities. It is easy to start, yet very complex questions can be asked about the graphs. graph theory (topological characteristics of graphs). The first task is to find out what the aim is. Don’t tell the students, but ask them to find it out and describe it. Perhaps write an instruction or guideline for a user. After solving many levels students can think of new questions such as the ones below. How many different solutions are there? Is it possible to move all the triangles (and squares) to the outside so that no triangle lies within another triangle/square? When is this possible and when not? 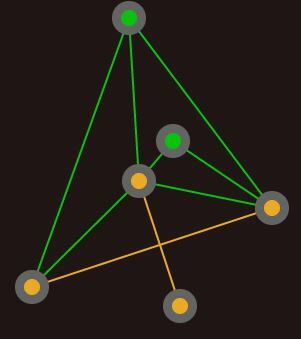 Can you make a network that cannot be untangled in the way this game requires? If yes, how do you design such a network? What are it’s characteristics. Can you predict whether a network can be untangled or not without trying it out. Evidence, proof! 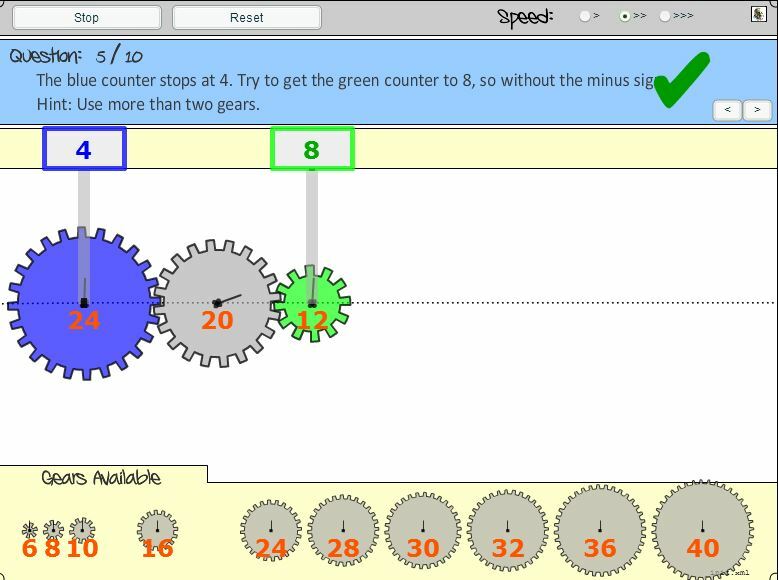 The program GeoGebra can be used to draw the networks and discuss the reasoning and show the different options. The game is suitable from primary school up to university level. 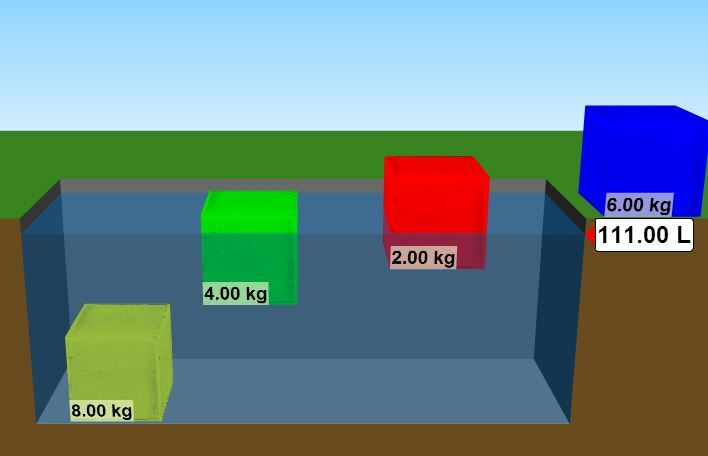 Density and Buoyancy is a simulation from the GoLabz project. The game uses colored cubes that can be dropped into an aquarium. Students can experiment with different volume, mass or density. The program is one of many simulations by PHET, designed and developed by the University of Colorado. 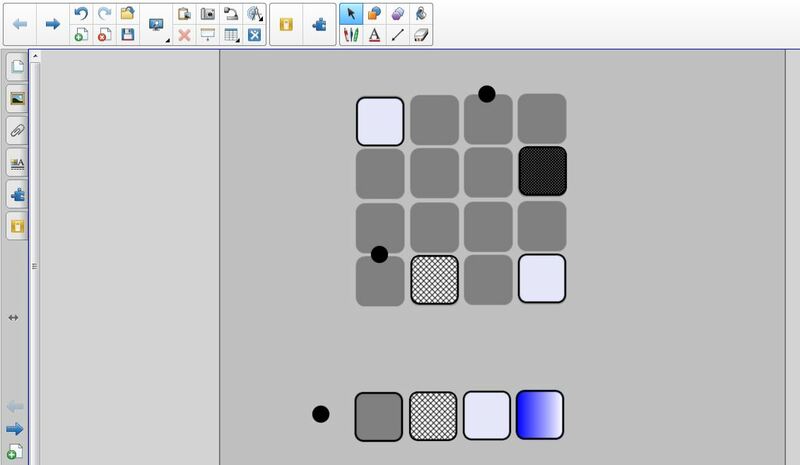 You can download a worksheet Density and Buoyancy for this game. In addition to the game it would be great to use real cubes of different materials in an aquarium with real water. The students can make their own mystery cubes, of which the appearance does not give away the type of material used. Cubes should also be made water proof.